Life is about using the whole box of crayons! Pick your favorite Crayola colors and stitch a whole box of giant plush crayons or pick your child's favorite color! 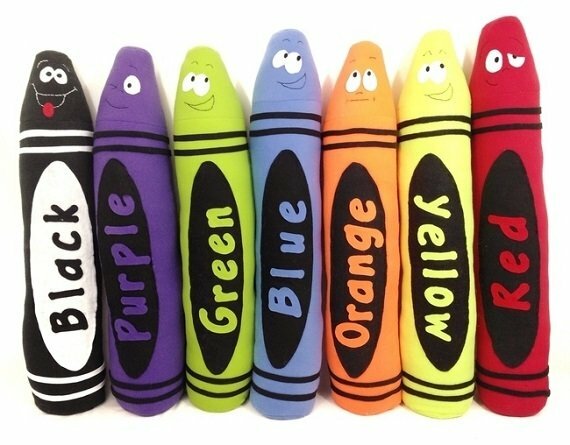 Kids will love their giant plush crayon pal! Three feet long when finished. Great gift and cute kids room décor. Made from fleece fabric.